Our Safari Print Paper Bags will hold your special party favors in style. Package of 12 includes assorted prints. 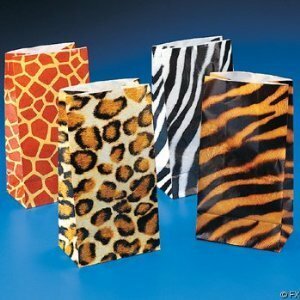 Each bag is 10″ high x 5″ wide x 3″ deep in assorted leopard, Zebra, Tiger and Giraffe.